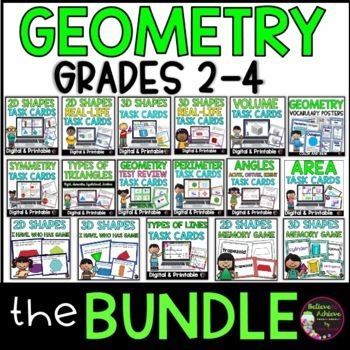 Students need lots of practice with geometry! This set provides it all! 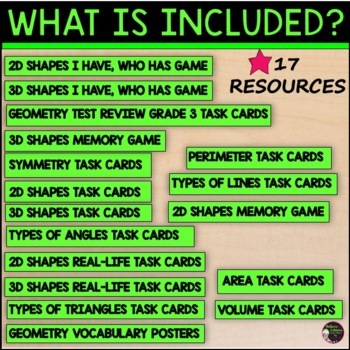 There are 288 task cards, 45 posters, Memory Games, and I Have, Who Has games! Such a fun variety! 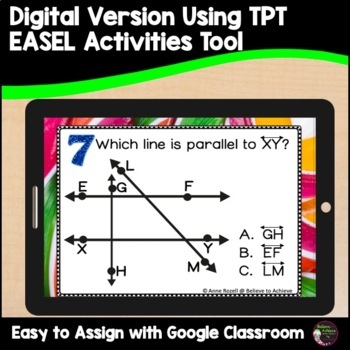 Great for intro, review or assessment of geometry! ***These sets are also sold separately! Please check to make sure you haven't purchased them separately already before purchasing this bundle. ***NOTE: These resources are also sold separately.